Soil pollution receives less attention when compared to air pollution and water pollution. However, soil pollution is grabbing more attention nowadays. Undoubtedly, soil is an indispensable environmental matrix for the growth of any terrestrial plants. Nevertheless, the rapid growth rate of population expansion and urbanization exceeds the sustainability and recovery capability of the ecosystem. This has virtually resulted in soil pollution. The sources of soil pollution can come from various point and non-point sources. Of the obvious and commonest ones are domestic wastes, untreated or insufficient treatment of industrial discharges, husbandry wastes and agricultural uses of fertilizers, pesticides and herbicides. 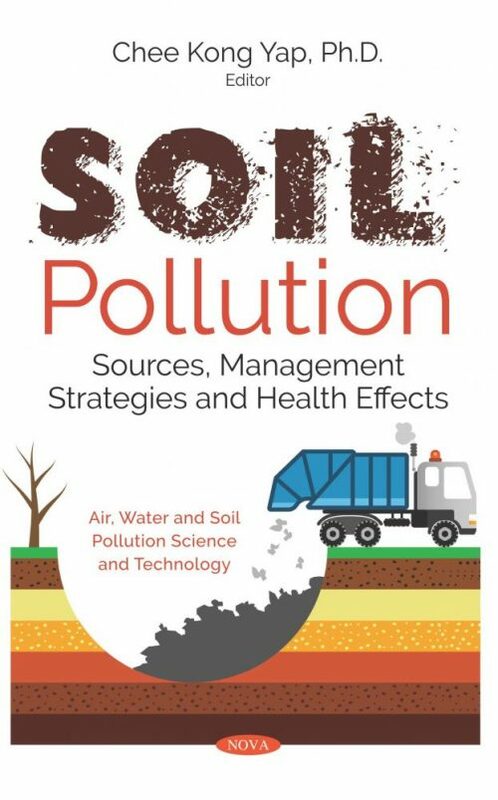 The purpose of this book is to provide the latest, if not the most up-to-date information regarding soil pollution from three main perspectives, namely, sources, health effects and management strategies in the agricultural and urban areas. The intended readers of this book include academicians, policy-makers, university students, teachers and researchers. This book contains eleven chapters. All chapters in this book consist of sources of pollutants (heavy metal monitoring) (Chapters One, Three, Six, Seven, Eight, Ten and Eleven), the application of monitoring data for human health risk assessment (Chapters One, Four, Five and Nine), and lastly, management strategies for polluted soils (Chapters Two, Ten and Eleven). 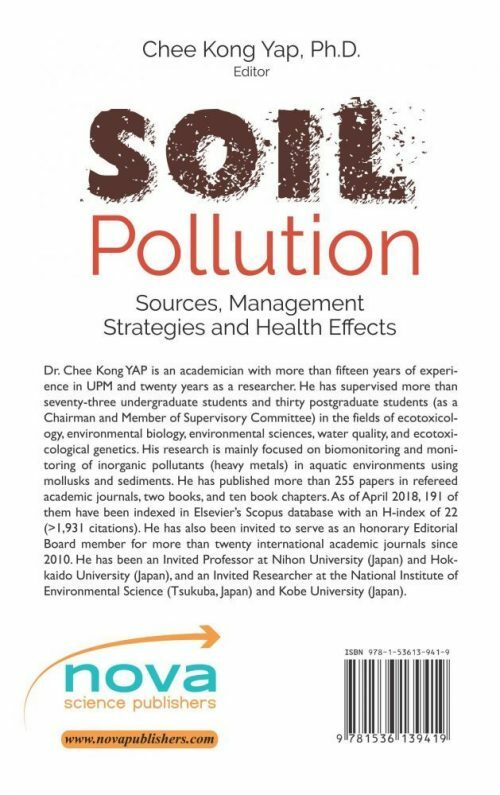 This book presents a thorough compilation of existing information on soil heavy metal pollution in the form of critical review papers (Chapters One, Two, Ten and Eleven) as well as original research papers (Chapters Three, Four, Five, Six, Seven, Eight and Nine). The invitation of prominent scientists from Japan such as Prof. Hideo Okamura (Kobe University, Japan), Prof. Hiroya Harino (Kobe College, Japan), Dr. Ye Feng and Dr. Muzembo Basilua Andre (both from the National Institute of Environmental Sciences, Tsukuba, Japan), Prof. Alireza Riyahi Bakhtiari (Tarbiat Modares University, Iran), and Dr. Salman Abdo Al-Shami (University of Tabuk, Saudi Arabia), who co-authored some of the chapters have helped to improve the quality of the chapters in this book. Additionally, chapters from Prof. Chen-Feng You from the National Cheng Kung University (Taiwan), Prof. Monica Butnariu from Banat’s University of Agricultural Sciences and Veterinary Medicine (Romania) and Dr. Nadi Awad Al-Harbi from Tabuk University (Saudi Arabia) are also important elements in the construction of international readership for this book.